And Happy Happy Birthday to my BFF. I'm hoping we get to veg out on take out Indian today and spend a few hours ruling the world just by existing in our leggings and stained shirts. Also, I hope you all have a friend like that. Okay! So, Peanut Butter Blossoms are no stranger to anyone's kitchen at Christmas time. They seem to be a staple whether you make 2 or 12 kinds every year. I usually skip this one (which is why you don't see them on the platter in the picture below, but follow the links below to get the recipes for the others!) We get some from my SIL & my MIL at different times, and that is plenty for us considering the other yumminess we bake, as seen below. But if I do a 5th cookie, this is usually it. Although, my SIL makes Fudge Puddles and I was totally hitting those hard last week, so I'm thinking of switching it up. Do you like Fudge Puddles? It's the timeless Chocolate and Peanut Butter affair, how could you not? 1. 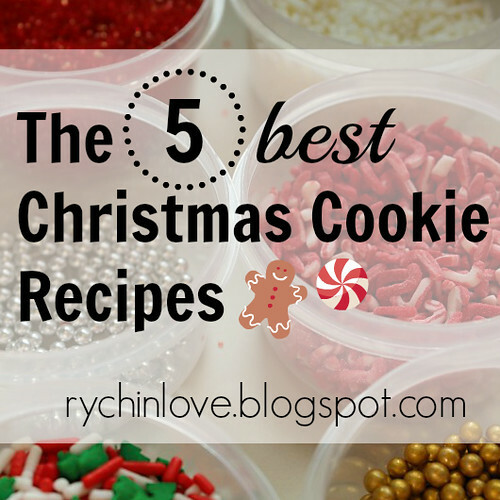 Preheat your oven to 375, and unwrap all of your kisses. 2. Beat the crisco and peanut butter together in a large mixing bowl until well combined. 3. Add the sugars and cream until light and fluffy. 4. Add in the milk, vanilla, and egg and beat until well combined. 5. In a separate bowl, combine the dry ingredients (flour, baking soda, salt). 6. Slowly add the dry ingredients to the wet ingredients and combine well. 7. Roll small amounts of dough into approximately 1 inch balls. Roll in the extra granulated sugar, and place on a cookie sheet. 8. Bake 8-10 minutes, until lightly golden. 9. As soon as you take the cookies out of the oven, press a hershey's kiss right into the center of each ball so it flattens a bit. Yum, yum! And if you're like me, eat the cookie off around the edges, leaving a tiny bit on the bottom of the kiss, and then pop the kiss with the tiny bit of cookie on it in your mouth. And chase it with milk. Mmmmmm-mm. 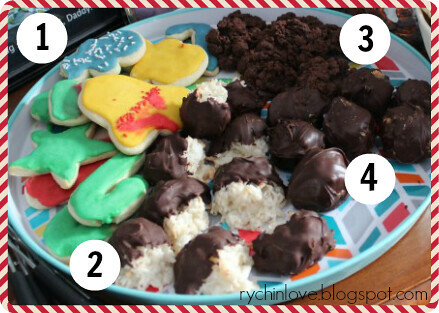 Be sure to check out the rest of my favorite Christmas cookies linked below if you're cooking this coming weekend - I am! Can't wait!